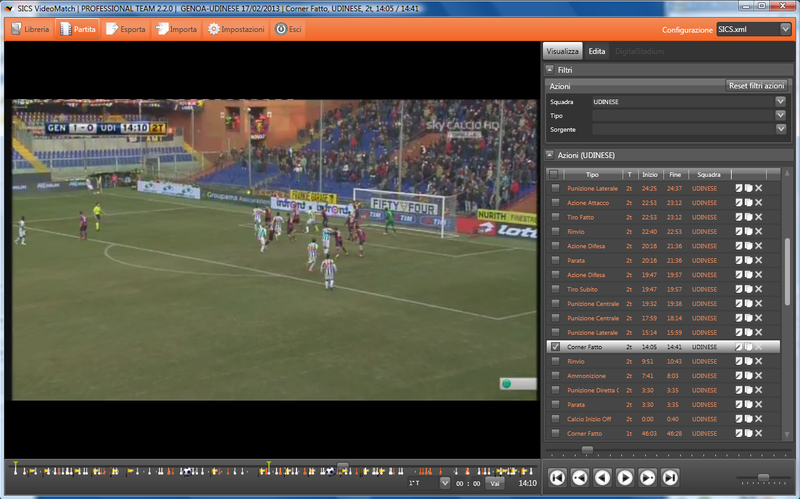 VideoMatch is the most advanced program of football matches video analysis currently on the market. Designed and developed by SICS based on years of experience in this field and on collaboration with the most prestigious national and international staff. 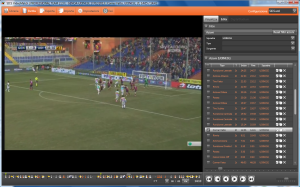 The program is characterized by an extreme ease and speed of use and by a specific attention to reduce the time required to make in-depth analyses of matches. AVI, MPEG4 file (and other video formats commonly used). It’s possible to work directly on the DVD or import the video on the hard disk of the PC (or on an external drive). In this case the generated video archive allows to do further researches on all the keys used for cataloging. The program works on Windows (XP or later), but it can also be used on Mac computers, providing an appropriate emulator or a Windows partition.